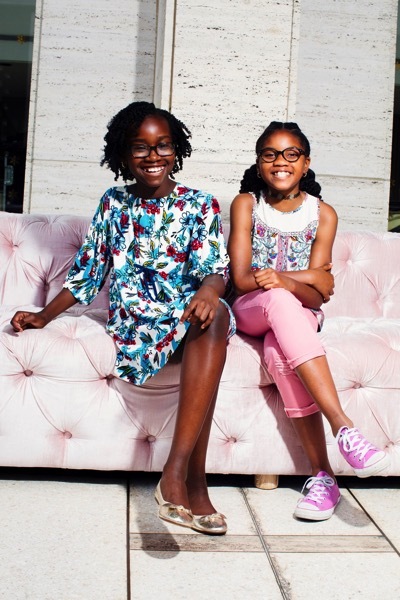 Meet the 11-Year-Old Girls Whose Music Wowed the Philharmonic #MusicMonday « Adafruit Industries – Makers, hackers, artists, designers and engineers! Inspiring story from The New York Times. It was the kind of debut most musicians only dream of: a world-class orchestra, tens of thousands of listeners. “Audiences were clearly blown away and delightfully surprised,” said Deborah Borda, the Philharmonic’s president and chief executive. Where does a composer go from here? Ms. Cowan and Ms. Millar — two students from Brooklyn who are part of the Philharmonic’s Very Young Composers initiative — followed up on their victorious tour of New York City by, well, returning to class.